﻿ How has Judaism survived for 4,000 years ? When, finally, in the twelfth century BCE the Jews settled in a country they could call their own, they used the worst possible judgment. They selected a strip of land that was a corridor for the armies of warring empires. Over and over again the Jews were to pay for this error of judgment by being decimated in battle, sold into slavery, or deported to alien lands. Yet they showed up persistently at the same old place, building anew their little strip of real estate which has been alternately called Canaan. Palestine, Israel, Judah. Judea, and now again. Israel. Founded in 1948, Israel is the world's only Jewish State and is the Middle East's only liberal democracy. Today more than eight million citizens - Jews, Muslims and Christians - call Israel home. "The Jewish people constitute only a fraction of the human family, yet we cannot recount the history of civiliza­tion without coming face to face with what the Jews have thought and felt and written and done.This is the story of a small people with a large place in the destiny of mankind." "If the statistics are right, the Jews constitute but one quarter of one percent of the human race. It suggests a nebulous puff of star dust lost in the blaze of the Milky Way. Properly, the Jew ought hardly to be heard of, but he is heard of, has always been heard of. He is as prominent on the planet as any other people, and his importance is extravagantly out of proportion to the smallness of his bulk. His contributions to the world’s list of great names in literature, science, art, music, finance, medicine and abstruse learning are also very out of proportion to the weakness of his numbers. He has made a marvellous fight in this world in all ages; and has done it with his hands tied behind him. He could be vain of himself and be excused for it. The Egyptians, the Babylonians and the Persians rose, filled the planet with sound and splendor, then faded to dream-stuff and passed away; the Greeks and Romans followed and made a vast noise, and they were gone; other people have sprung up and held their torch high for a time but it burned out, and they sit in twilight now, and have vanished. The Jew saw them all, survived them all, and is now what he always was, exhibiting no decadence, no infirmities, of age, no weakening of his parts, no slowing of his energies, no dulling of his alert but aggressive mind. All things are mortal but the Jews; all other forces pass, but he remains. What is the secret of his immortality? " Judaism has 4,000 years of history. This was brilliantly analysed by a Christian historian, Paul Johnson, in his History of the Jewish People . His Prologue explains why he wrote it and his Epilogue what he discovered. In his Prologue he asks “Why have I written a history of the Jews? The first is sheer curiosity. My second reason was the excitement I found in the sheer span of Jewish history. From the time of Abraham up to the present covers the best part of four millennia. That is more than three-quarters of the entire history of civilized humanity. My third reason was that Jewish history covers not only vast tracts of time but huge areas. The Jews have penetrated many societies and left their mark on all of them. Writing a history of the Jews is almost like writing a history of the world, but from a highly peculiar angle vision. In his Epilogue he asks “What have I discovered? “One way of summing up 4,000 years of Jewish history is to ask ourselves what would have happened to the human race if Abraham had not been a man of great sagacity, or if he had stayed in Ur and kept his higher notions to himself, and no specific Jewish people had come into being. Certainly the world without the Jews would have been a radically different place. Humanity might eventually have stumbled upon all the Jewish insights. But we cannot be sure. The Jews were the emblem of homeless and vulnerable humanity. But is not the whole earth no more than a temporary transit-camp? The Jews were fierce idealists striving for perfection, and at the same time fragile men and women yearning for flesh-pots and safety. They wanted to obey God's impossible law and they wanted to stay alive too. Therein lay the dilemma of, the Jewish commonwealths in antiquity, trying to combine the moral excellence of a theocracy with the practical demands of a state capable of defending itself. The dilemma has been recreated in our own time in the shape of Israel, founded to realize a humanitarian ideal discovering in practice that it must be ruthless simply to survive in a hostile world. But is not this a recurrent problem which affects all human societies? ‘MISINFORMATION’ IS A COMPLEX TOPIC. This site tries to avoid this by presenting information in text from different sources, provide complementary videos and links for further research. Academics are still trying to understand all the ways we are vulnerable to misinformation on the Internet. Readers report being overwhelmed by the sheer volume of content they encounter online on a daily basis. Here are some of the reasons we’re susceptible to believing dubious claims—and why we play a role in spreading them. MIT cognitive scientist David Rand has shown that simply being exposed to fake news makes people more likely to believe the claims. This “illusory truth” effect works even when such claims run counter to the reader’s political ideology. This may be because we subconsciously rely on cognitive shortcuts, known as heuristics, to make quick decisions about what to trust online. These habits of the mind can lead people to assume, for example, that if something is familiar, it is also safe. In a 2016 Pew poll, 23% of Americans said they had shared a made-up news story. While many did so unknowingly, 14% said they were aware it was false at the time. Experts suggest that our deep desire for social feedback, which may come in the form of retweets or likes on social media, can trump any hesitation we might have about sharing inaccurate information. 2000BCE to 1200 Abraham introduces monotheism to the world. Age of Patriarchs. Joseph invites Jews to settle in Egypt; new pharaoh enslaves them. Exodus under leadership of Moses Jews receive Torah at Sinai. 1200 to 900 Joshua conquers Canaan. Two centuries of rule by Judges. First kingdom forged by Kings Saul, David, and Solomon. Breakup of kingdom into Israel and Judah. Temple restored. 900 to 500 Reigns of the kingdoms of Israel and Judah. Prophets enter Jewish history. 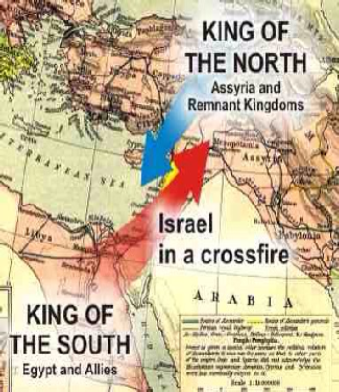 Assyrians destroy kingdom of Israel; end of Israelites. Babylonia destroys kingdom of Judah; the people exiled. 500 to 100 Persians defeat Babylonians; permit Jews to return to their homeland. Temple restored. 100 to 600 Bar Kochba stages new uprising against Rome. Change over from priestly to rabbinic Judaism. Rav Ashi fuses Mishna and Gemara into the Talmud. Emperor Constantine converts Rome to Christianity. 600 to 1100 Mohammed is bom. Islamic empire extended from India to the Atlantic. Spain invaded by Moors. Islamic empire begins to crumble In the Christian World: Jews survive barbarian invasions. Rashi Europeanises Babylonian Talmud. 1600 To 1800 Jews languish in ghettoes and shtetls. Salon and court Jews make their debut in Jewish history. Heresies wrack Jewish ranks. Mendelssohn maps intellectual path out of ghetto; Napoleon paves political road to freedom. Jewish settlements grow in New World. 1800 to 1948 Racism sweeps Jews into new frontiers of danger. Dreyfus Affair. Herzl founds political Zionism. Communist Russia threatens Jewish religion. Nazis murder six million Jews. America becomes largest Jewish Diaspora country. Zionism sweeps Jews into statehood and the need to defend themselves against their neighbours. Herbert Pagani performed this outstanding speech about Zionism and Israel on a French TV show in 1976, after the UN passed a resolution equating Zionism to racism. The UN abandoned the resolution in 1991 after the fall of the USSR and the first invasion in Iraq. where 40,000 Jews were killed by the Nazis. Toscanini and a Conneticut jail.